These days many online poker players crave faster action and less waiting time between hands, and so far a couple of sites have been able to satisfy this craving; with PokerStars rolling out Zoom Poker, and Unibet offering Fast Poker. Stan James is the next big room to offer a high-speed poker experience, having recently unveiled Blaze Poker. On a typical poker table, players have to wait for hands to be completed whether they’re still in the hand or not. Seeing as most skilled grinders fold a lot of hands pre-flop, they’ll spend more time waiting than actually playing. 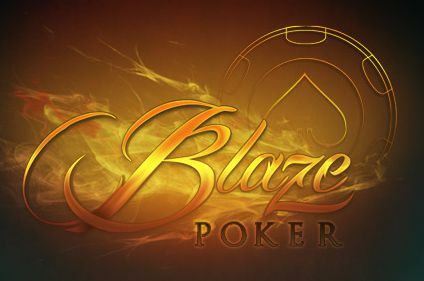 This waiting time is exactly what Blaze Poker works to reduce by allowing players to leave tables as soon as their action in a hand is completed. Getting into the specifics, people start by joining a Blaze Poker pool – rather than a single table. There are multiple pools available according to the stakes and poker variation that a player wants – for example, you could join a $1/$2 no-limit hold’em player pool. From here you play poker hands as usual, except that whenever your action is done in a hand you’ll immediately be moved to a different table within the pool. So if you were to fold pocket 2’s pre-flop, you’d immediately be taken to a new table with a fresh set of cards, instead of having to wait for the previous hand to finish. In order to really speed up hands, Blaze Poker offers a “Quick Fold” option that enables players to fold even before it’s their turn. So if you don’t like the 2-7 offsuit hand that you’re dealt, simply hit Quick Fold right away and you’ll be moved to another table. Assuming you’re an extremely fast poker player, you’ll be pleased to know that multi-tabling is available in Blaze Poker. Those who are quick enough can play hundreds of hands per hour while multi-tabling this speedy poker variant. As if being able to play more poker hands in a shorter amount of time and increase profits isn’t already enough, you’ll also be able to earn far more rakeback with Blaze Poker. To illustrate this point, let’s assume that you usually only play a single table and get in about 100 hands per hour. Furthermore, your table’s average pot size is $20, there are 5 players at the table, and you have the 30% Stan James rakeback deal. With Stan James taking 5% of each cash game pot, you’d be credited with $0.20 of total rake per hand [($20 x 0.05) / 5 players] and receive $0.06 in rakeback ($0.20 x 0.30). Multiplying this amount by the 100 hands you play, you’d get $6 in rakeback per hour. Now let’s assume that you play Blaze Poker and are able to triple the amount of hands played per hour; this would boost your hourly rakeback to $18. Even if you merely broke even on the tables, you could make a living from the rakeback alone – and this definitely makes Blaze Poker worth a try! If you want to try Blaze Poker then simply sign up for Stan James Poker rakeback through RakeTheRake for all the high-speed poker you can handle and a top rakeback deal.